* 1/48 scale model of the Citroen 11CV impressively reproduces the car's elegant curves. * Underside of chassis features accurate detailing. * The versatile Citroen 11CV served in a variety of military purposes, making it perfect for lining with 1/48 MM Series tanks or 1/48 scale airplanes. Also makes a wonderful setpiece for military dioramas. 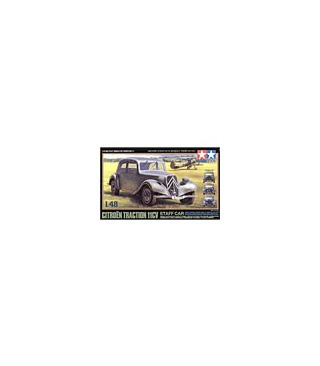 * Car modelers will enjoy building the civilian model Citroen 11CV. * Decals offer choice of 3 types of markings depicting French & German military versions.